The Arctic tundra includes parts of Canada, Alaska, Greenland and Europe, as well as isolated portions of Antarctica. Arctic winters are long and cold, with only 60 days a year reaching temperatures warm enough for plants to grow. Among the animals adapted to the harsh conditions, more than 100 species of spiders live in the Arctic. Researchers are becoming aware of how rising temperatures affect local wildlife, including Arctic spiders. Spiders make up a significant portion of the animal population in the Arctic. Each species has its own way of surviving there. Crab spiders are known for concealing themselves in plants and flowers, which provide camouflage as they stalk prey. Erigoninae spiders are the most diverse family of spiders in the Arctic. They are very small, some even minute, and hunt their prey on the ground. Funnel web spiders thrive in sunny spots and build webs to catch prey. Wolf spiders, identified by their hairy bodies and strong legs, live on the ground and capture prey with a wolf-like pounce. Spiders are cold-blooded, so they must derive warmth from outside their bodies. Being cold-blooded also means the outside temperature directly affects their internal body temperature. When temperatures drop, their metabolic processes slow down. In prolonged cold, cold-blooded animals are susceptible to freezing to death. Arctic spiders have developed adaptations that allow them to thrive in spite of the harsh climate. Some species produce a chemical called glycol that prevents ice from collecting around their bodies. Other species’ bodies have adapted to allow ice to form only outside their cell walls. Some species burrow under a thick layer of snow, which protects them from the wind. To survive the long arctic winters, spiders grow more slowly or even stop growing during the winter months. They also don’t reproduce in the winter, waiting to reproduce until the warmer times of year when food is more available. Climate change in recent decades has led to increasingly longer summers in the Arctic. Longer warm seasons mean extended growth periods for Arctic spiders. Their window for reproduction is also extended, creating the potential for increased spider populations, which could offset the balance of arctic ecosystems over time. A 10-year study of wolf spiders in Greenland found spiders that experienced an early spring grew to be larger. Some had exoskeletons 10 percent larger than normal. Researchers predicted that, since larger females gave birth to more offspring, a considerably larger spider population could result over time. Other researchers studying Arctic spiders predicted the warmer climate could result in southern spider species migrating north. Their presence would create new competition for resources among arctic species, further disrupting the ecosystem. With the number of factors involved, there are many possible outcomes for the Arctic spider's future. Canada Polar Commission: Did You Know Over 300 Species of Spiders Live North of 60? 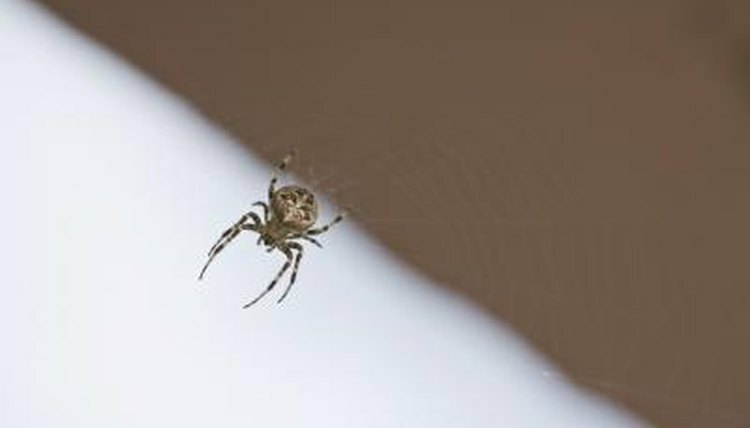 National Geographic: Spiders Getting Bigger--Global Warming to Blame? Do Spiders Have Jointed Legs?